ab is using Smore newsletters to spread the word online. 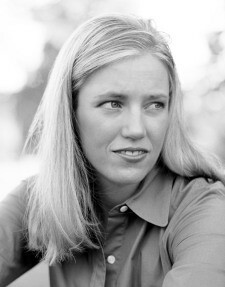 Susan Juby is a Canadian author. She was born on March 30, 1969 in Ponoka, Alberta. She is now 46, is married and living with her husband James in Nanaimo, on Vancouver Island. Meet Alex. He loves horses. He dreams of riding and also pretends he's riding a horse while on his bike. When his dad wins a horse it opens him up to a world of horses and dressage and somewhere he can be himself. Meet Cleo. Wild and crazy with absentee parents, she uses the stables to gain a fresh start after making a stupid mistake and being sent off to live at boarding school on Vancouver Island. 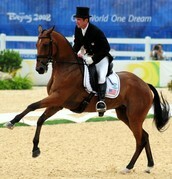 The dressage lessons are part of the sentence. Together the too night and day horse lovers find that they may actually have more in common (and in secret) and become better friends then they would have thought possible. Alex is secretly homosexual and Cleo has a desire to find love but has never really had a true friend. After going through a series of events, Alex and Cleo grow on one another and realize how much they value and trust each other. The story ends with Alex and Cleo becoming best friends and Alex opening up to his father who takes the news very well. This story centres on the fictional lives of two teenagers who face many challenges related to family, goal setting, sexuality, drugs, alcohol and friendship. These are the same challenges that teenagers face in their everyday lives and provides relevance for this novel. The two main characters in the story are Alex Ford and Cleo O'Shea. Alex Ford is a sixteen year old, gay boy. He has two twin, younger sisters, and his father lives in an RV on the front yard of their house. Cleo O'Shea is also a sixteen year old, but is a straight girl with no siblings and very wealthy parents who are almost always on a business trip. They are the main characters because each chapter is written in one of their perspectives. The story takes place in Vancouver, Canada. The main theme of this novel a friendship. The theme is friendship because both Cleo and Alex grow a relationship and the entire novel is how they became to their friendship. How do Alex and Cleo become friends and why does this play a big role in the plot of the book? Alex and Cleo become friends because they learn to understand each other. Even though Alex and Cleo have been brought up in different classes, they started to grow closer to each other because they had one relation. Cleo's parents were close to always absent on work trips while Alex's mother had left his family when he was younger and his father started to drink and lived in an RV in their front yard. The idea of both their parents not being there helped them understand each other better. How does someone as different as Alex and Cleo become friends? Alex and Cleo found out that a girl and a boy from totally different backgrounds can still become friends seeing how Cleo comes from a well earning family, meaning they are wealthy, while Alex comes from a more broken family. What does Alex realize and why is this so important? Alex has had a secret and was to afraid to tell anyone including his father because he was afraid people would not understand him. When Alex can't shake Cleo, he soon realizes she might be the only one who understands him. Susan Juby's website is mainly for advertisement purposes and does not give any information on her inspirations on her literature. The site does give some information on her life though not on her visions. Though Susan Juby has lived in Vancouver most of her life and has always loved riding horses. 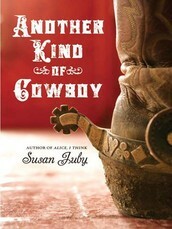 her own life may have inspired her to write the novel Another Kind Of Cowboy. The theme of this novel is friendship. This is relevant in social-cultural context because when talking about beliefs. In society, people treat gay people differently. This means many people don't give the same respect to gays as they do to straights. In the novel Alex had never told anyone he was gay because of the way people would treat him, especially his father. He had never meant to tell Cleo either though his emotions had gotten the best of him forcing him to spill. Cleo having the characteristics she did, didn't judge Alex when he told his secret. Instead they slowly started to understand one another after going to a series of events together. In society people say to never judge a person though the first thing they do is judge when they meet someone different.